This volume contains information about the Welsh Revival of 1904 and its’ astounding effects on the surrounding communities! 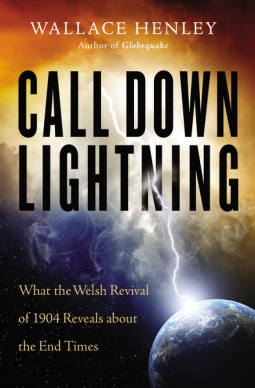 You will be astounded to discover how the power of the Holy Spirit changed society as the rates of drunkenness, criminal behavior and how every pub in a Welsh city was closed! In addition to this - marriages and families were restored, churches increased in attendance because of people’s hearts - not programs, debts were paid off without coercion, and there were provisions and employment in homes instead of poverty and destitution because people’s hearts were changed! What kind of effects could this show in our modern society if it underwent the same transformation? Could you imagine alcoholism and drug addiction decreasing, families reunited and restored, and Godly conversation instead of swearing and violence? The author discusses the history of God’s dealings with Israel, how one person’s covetousness affected the whole nation, and how God mercifully restored Israel many times after she rebelled against God. The author compares America’s state of Christianity with Wales’ before the revival, how the churches had beautiful music and buildings, but very little true transformation of society and individuals. You will have to read the book for yourself to discover how God worked in Wales, and how He wants to work in other places - but it will be by His sovereign timing and will, not by man’s efforts.